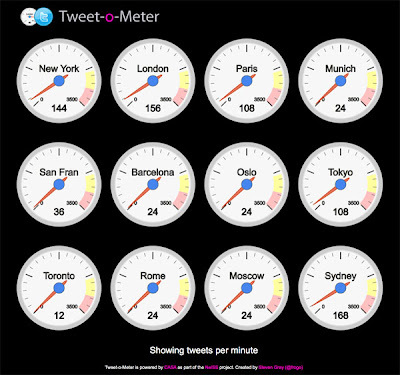 Our data mining tool Tweet-o-Meter now features tweet per minute within a 30km area of New York, London, Paris, Munich, San Francisco, Barcelona, Oslo, Tokyo, Toronto, Rome, Moscow and Sydney. Currently in beta and part of our wider 'Ask' tool it allows anyone to 'mine' data from Twitter or carry out a survey of either the world, a continent, a nation, a city or a local area. In short, we think it has notable potential for social science and the analysis of trends and relationships in a variety of areas. 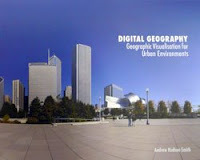 See Urban Narrative - Tracking Movement via Twitter for more information. We will have more analysis and news of enhanced features and releases in coming posts. 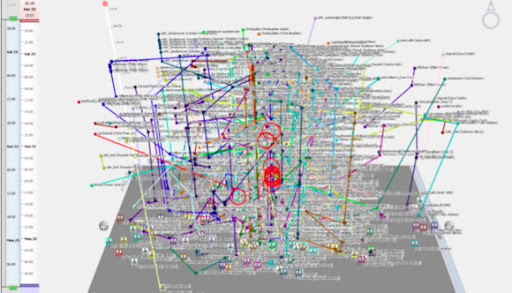 Data mining has huge potential to aid our understanding of the city, we are merely at the start of the process but the ability to collect every tweet within a 30km range of every major urban area on earth is certainly intriguing. The tweet-o-meter is crying out for the addition of San Francisco - that natural home of the tweeter. 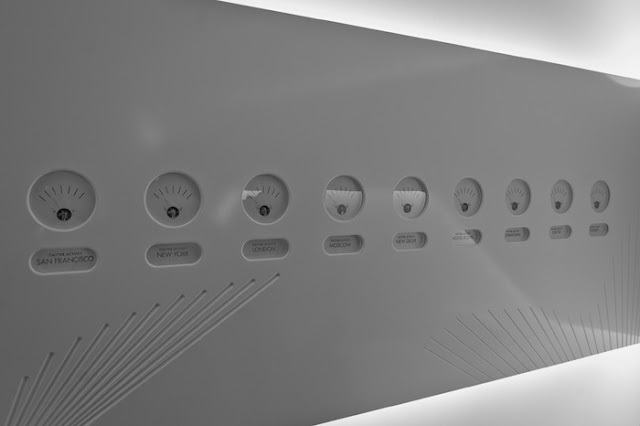 Dare I suggest you've been missing it out because your dials' design won't accommodate it on a single line of text?